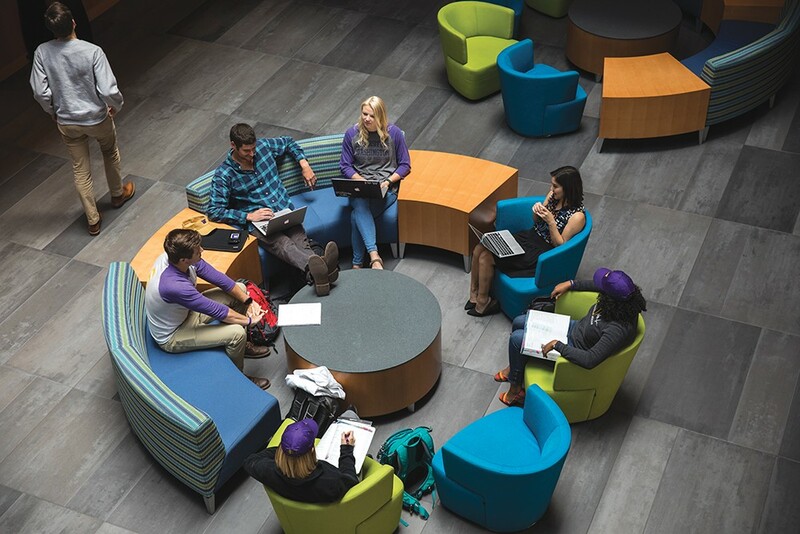 University of Washington medical students collaborate at the Hemmingson Center on the Gonzaga University campus. For the last 50 years, medical students admitted to the University of Washington could choose between Seattle and Eastern Washington for the location of their studies. This year, a majority of the 2018 incoming medical students chose Spokane over Seattle. There's even a waiting list for a seat in the Spokane class. It's the first time that's ever happened, according to the UW School of Medicine. The UW School of Medicine partners with Gonzaga University to educate 60 medical students per year in Spokane (up from 20 students just five years ago). In the past, some students who requested Seattle ended up in Spokane. No more. Now all the students in Spokane wanted to be here. "Spokane is a growing hub for medical education because the students feel supported by the community, medical industry and our partner, Gonzaga University, where they enjoy a vibrant campus experience," says Darryl Potyk, chief of medical education for the UW School of Medicine-Gonzaga University Regional Health Partnership. Potyk says relationships with professors, the medical community in the Inland Northwest, and students working with physicians who want to help them become the best doctor they can are some of the reasons students pick the Lilac City. More than 800 practicing physicians in Eastern Washington participate with medical training in the area. "From an education standpoint, we're getting a reputation of being well-cared for," Potyk says. "And everybody takes an interest in the students."